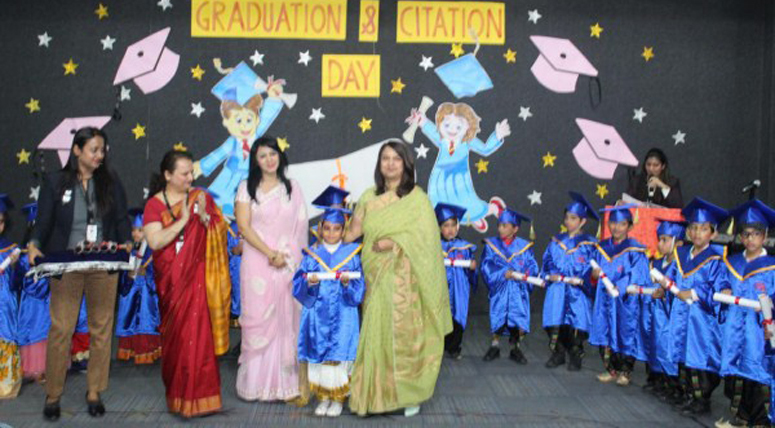 MRIS-Noida organized Graduation Day Ceremony for the kindergarteners recently. RJ Rahul Makin graced the occasion as the Chief Guest for the day. Our children of kindergarten extended a warm welcome to the entire gathering. 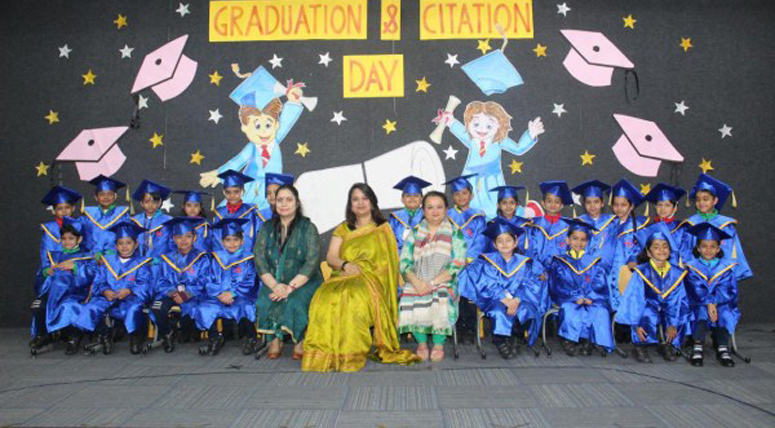 Ms. Nindiya Saket, Principal MRIS –Noida and Ms. Anupama Dutta, Coordinator-Pre Primary Department encouraged the children with their kind words. The theme ‘Art’ was also a part of this ceremony which was concluded by organizing an art gallery walk, where the beautiful paintings were displayed for the guests. 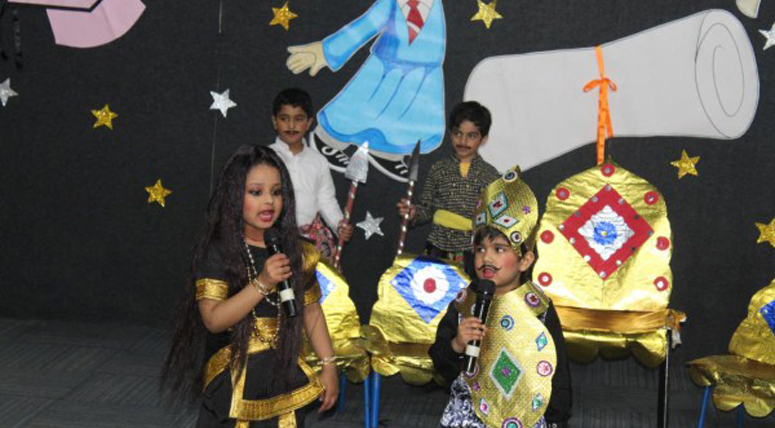 The ART theme was showcased by different forms of art like drama, song and dance. The programme started by seeking the blessings of Goddess Saraswati. 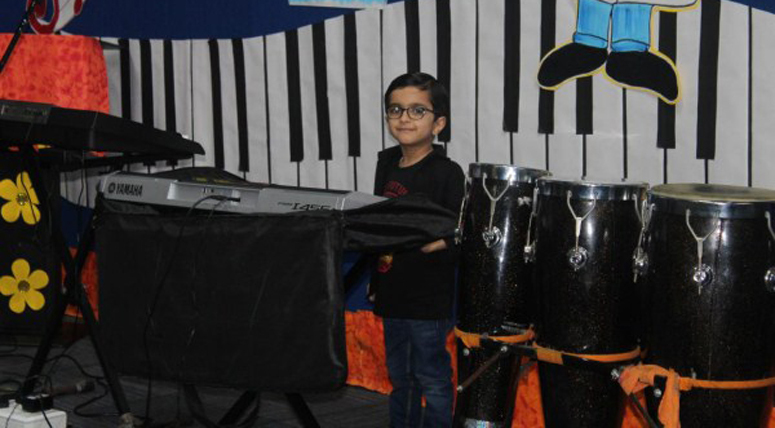 Children of K.G Lifeskills performed the musical short play on various types of musical instruments where the little ones played the instruments live and explained them too. Children of K.G Numeracy gave a power packed performance through a Hindi Play “Holika Dahan” where all the emotions like anger, devotion, jealousy, and pride were portrayed beautifully. 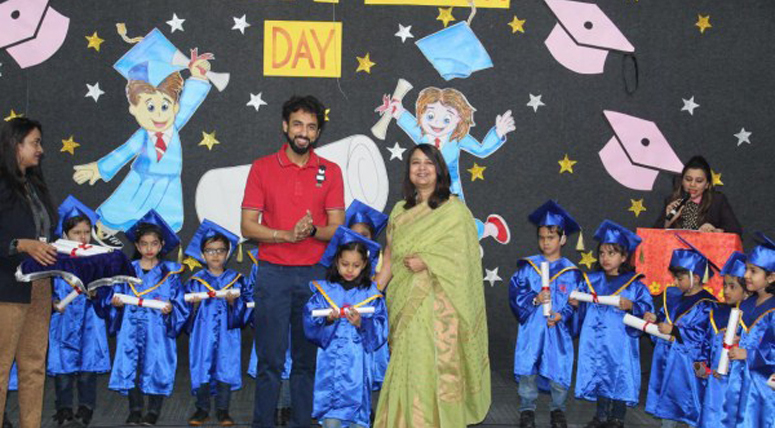 The most important event of the day –The Graduation ceremony started with the felicitation of the little ones who were adorned in their graduation robes and hats. The parents and children were congratulated for achieving the milestone as the children were graduating from the Pre Primary to Primary.